I recently made these simple centerpieces for an event at work. 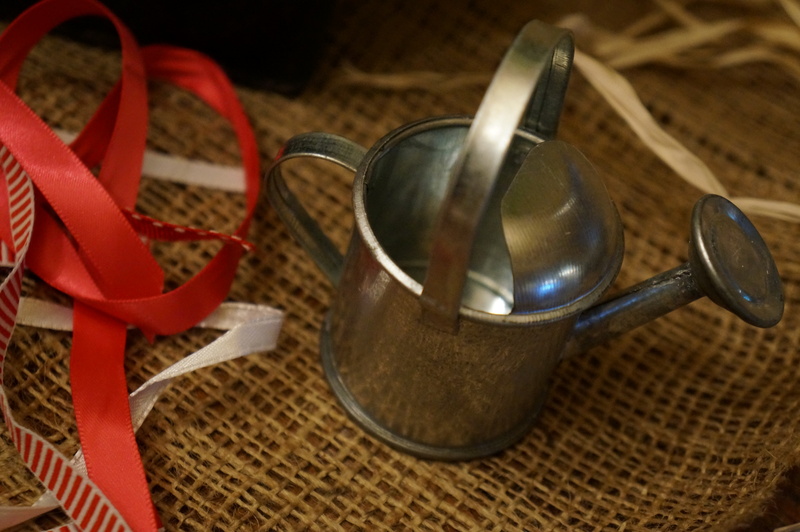 They would make the perfect rustic centerpiece, and party favor, for a wedding, garden party or a baby/bridal shower. 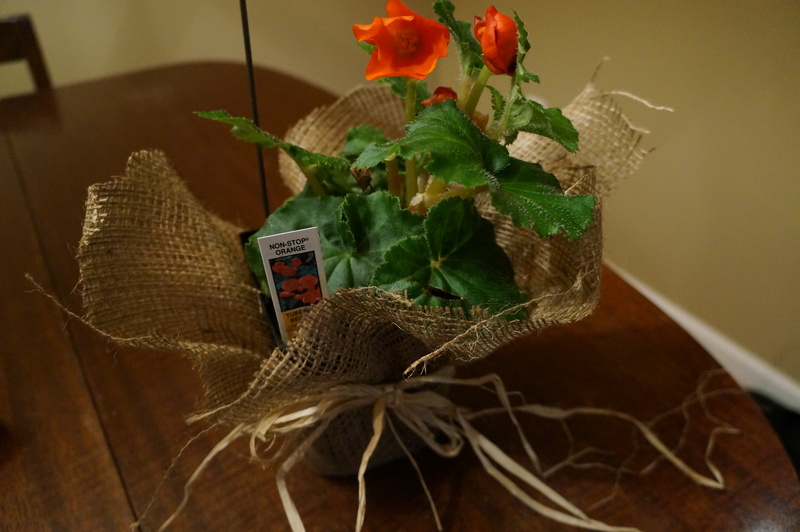 They would also work great for a teacher gift, or as a Mother’s Day, housewarming, or birthday present for the gardener in your life. Choose a nice flowering plant in a 6″-8″ pot. I love these colorful begonias. 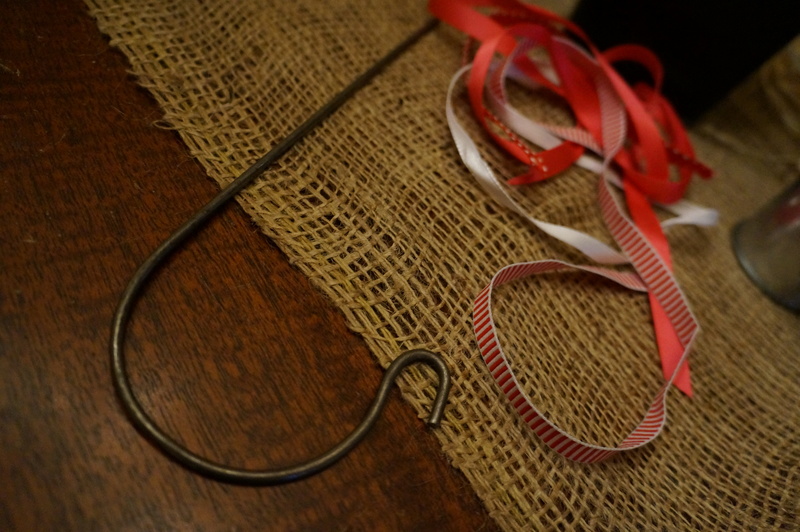 Place the shepherd hook into the plant. We purchased ours very inexpensively at Craft Supplies Online – love that store! 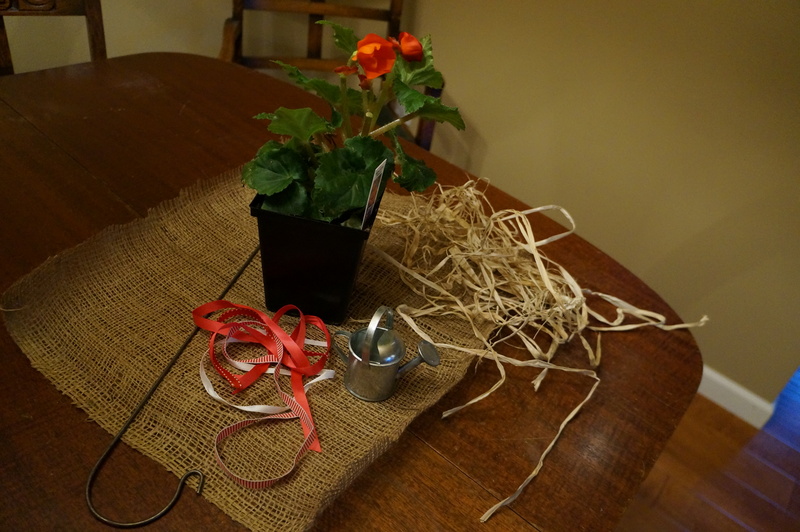 Cut the burlap fabric, fitted to the plant pot, with about 3-5 inches of overhang. Cover the pot – gather it in places around the pot, making overlapping creases so that the overhang creates a nice presentation around the edges. Or use another set of hands (my son helped me with this one!) to keep the fabric in place while you tie a few strands of raffia around it into a bow. 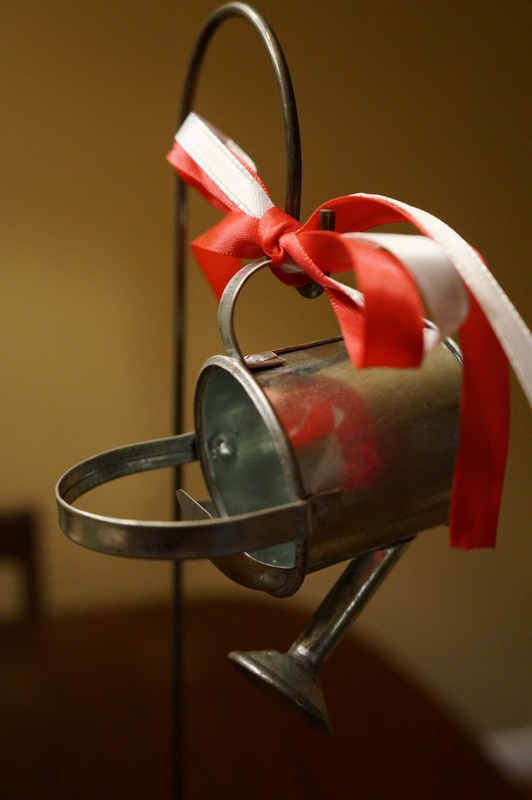 Then tie a short (about 8″ each) thin fabric ribbon onto the handle of the tiny watering can. I used two pieces of ribbon in different colors. 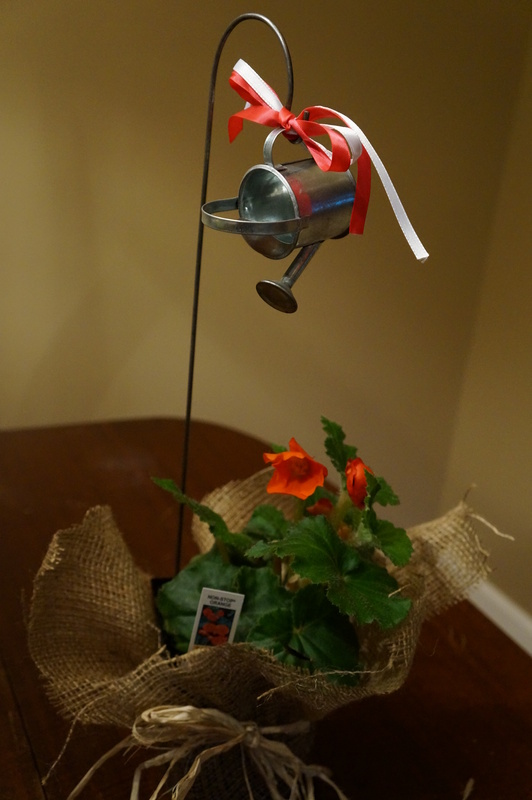 We purchased our watering cans online at Consumer Crafts. 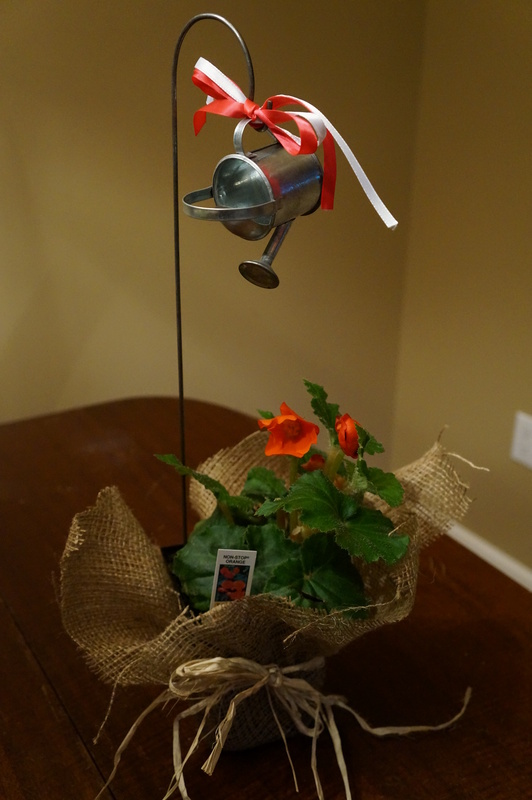 Place the watering can on the shepherd hook so that it is hanging over the plant. 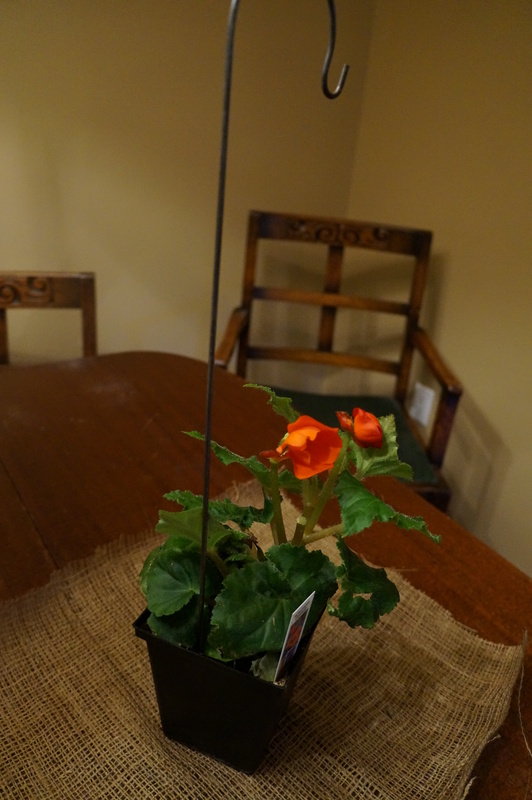 Orient the hook so that the can appears to be watering the plant. 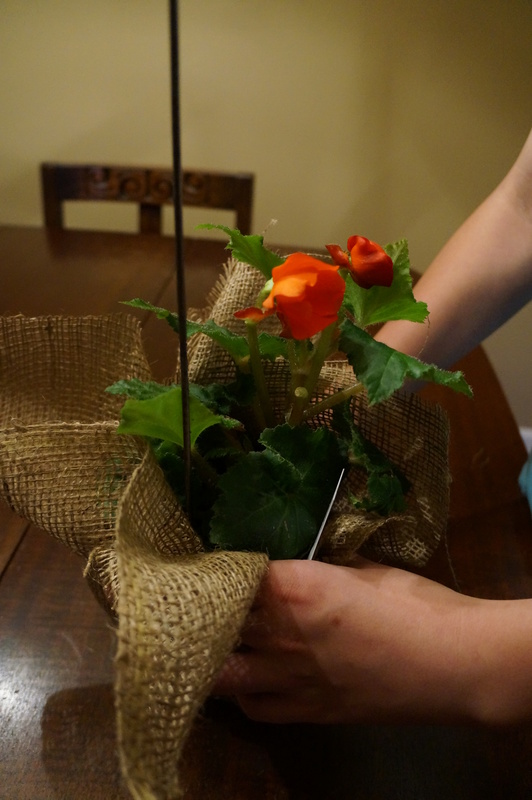 What is your favorite flowering plant that you would use for this fun project? Trailing vinca would be great for this & then you could plant it outside when your done with it. The hook & watering can are a wonderful touch.